New wearable device buzzes if the user is sleeping on his back while snoring. It works with a smartphone app that monitors snoring, filtering it from other background noises, recording every snore sound, analyzing patterns and sounds related to obstructive sleep apnea, and can also generate reports and trends on snoring. 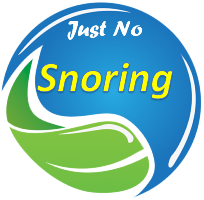 This helps positional snorers, reducing snoring tome from 22% to 4% of total sleep time. 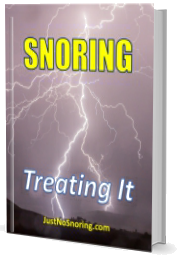 Developers found a high correlation between specific snoring sounds and sleep apnea. Additional info click here.